Below are listed some of the more recent publications produced by NMMA's members. To read a review or enquire about pricing and ordering details click on any of the titles listed below. All prices quoted are valid as of December 2000. Many of the publications can be obtained by contacting the authors directly or alternatively through specialist mining history book dealers such as Mike Moore. See our "Links" page for details of Mike's Web Site. Published by 917 Savage Pen; December 2008. A4 format, (210 x 295mm); 156 pages. Over 1,700 individual badges illustrated in full colour. 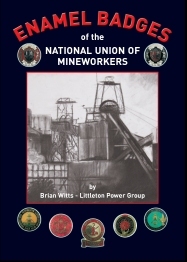 This important new reference book covers British coal mining badges issued since the formation of the National Union of Mineworkers in 1947. This lavishly illustrated work contains over 1,700 colour photographs of individual badges together with related background information including details of their issuers, issue dates and quantity issued (where known) etc. As may be expected the bulk of the badges covered in this work are hard enamel issues emanating from various N.U.M. Branches during the National Miners Strike of 1984-85. Independent (i.e. none N.U.M.) related badge issues are also included. Copies of this book may be obtained from the author for £33 inclusive of P&P within the UK. For further details contact: Brian Witts; 4, Balmoral Drive, Hednesford, Staffordshire, WS12 4LT or Tel: 01543 425743 alternatively e-mail: gailwitts@hotmail.co.uk .For a printable order form click here. A4 format, (210 x 295mm); pp i-viii, 196 pages. 275 illustrations, mostly in full colour. A Limited Edition publication of 500 copies, each numbered and signed by the author. Copies of the above book may be ordered through the author for £50 each plus £5 p&p (within the UK). Trade enquiries welcome. For further details contact Michael Finlay or visit his web site. Contact: MICHAEL FINLAY. c/o PO Box 212. Carlisle. Cumbria. CA5 6WA. UK. "The History And Development of Colliery Ventilation"
This book is the result of research and compilation over some ten years, and is the most thorough historical account of colliery ventilation in Britain, likely to be the standard work for many years to come. The book covers 36 types of fan and modes of ventilation, and is referenced throughout. Most chapters include a catalogue of ventilators listing colliery, location, size of ventilator and other details. Over 3,000 ventilators at more than 1,100 collieries are listed. Other chapters cover topics such as; mine gases, auxiliary and booster fans, reversal of ventilation, power sources, regional differences in ventilation, comparisons between types of ventilator and ventilation remains in Britain. There are also chapters covering patents relating to mine ventilation and a chronology of ventilation developments. The 216 page book has over 120 illustrations and is fully indexed. Copies of the book can be obtained from the author at £16.95 plus £2.20 postage & packaging, or at the special reduced offer price (until 28th February 2001) of £13.50 postage paid from the author. Also by the same author "Coal Mining: A Technological Chronology 1700-1950". 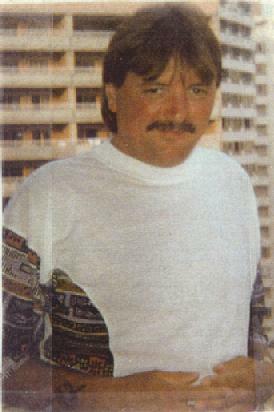 Contact: Alan Hill, 32 Sir Richards Drive, Harborne, Birmingham, West Midlands, B17 8TP. "An A-Z Of Over 5,800 British Collieries (Second Edition)"
An "A" to "Z" listing of UK Collieries principally but not exclusively covering those pits documented to be existence since c. 1870. Each colliery listing is geographically reference located based on the early (1947) N.C.B. Area and Districts system. Most colliery entries include sinking and closure dates plus the name of each pit's principal pre 1947 owner. This now heavily revised privately publication is arranged in a an easy to use gazetteer format comprising 91 single sided A4 pages contained within two spiral bound volumes. Colin's new A-Z listing is set to become the new quick reference "Bible" for identifying collieries and their locations for both collectors of colliery memorabilia and mining historians alike. The provisional sales price of Colin's new privately produced book is likely to be £20 plus P&P. For further information contact Colin directly (see contact details given below). Contact: Colin Jackson, 50 Hawthorne Avenue, Tibshelf, Alfreton, Derbyshire, DE55 5NN. 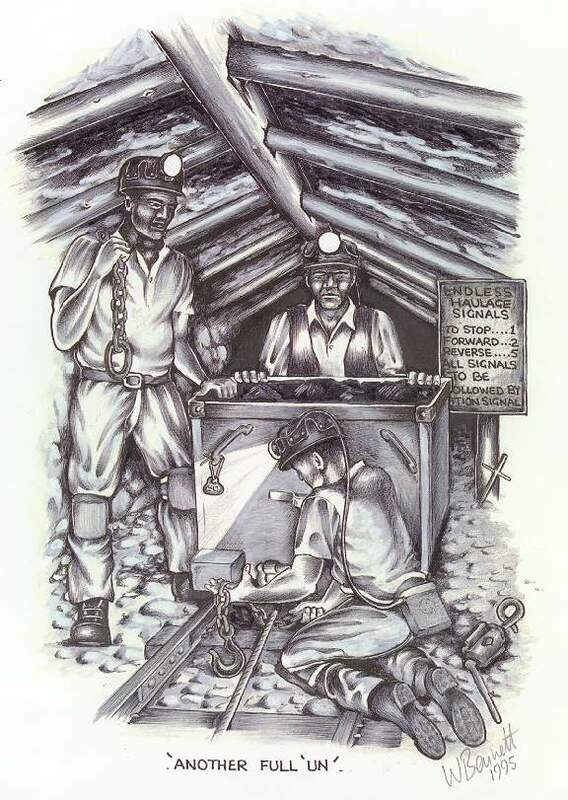 "The Collector's Guide to Mining Badges"
"First Supplement to The Collector's Guide to Mining Badges"
A privately published gazetteer and quick reference guide to several hundred different British mining related badges. Although dominated (as to be expected) by the huge quantity of badges issued during the National Coal Miners' Strike of 1984/85 this publication also includes a variety of other badges including early enamelled miners' association, N.U.M. branch area membership types, pit closure plus commemorative issues etc. This privately produced book contains 190 double sided A5 pages and is available in either hard or soft bound formats. Containing 514 colour illustrations this is a very well illustrated publication and is a must for all mining badge collectors. Soft bound editions are available at £16.00 plus p&p and hard back versions at £20.00 plus p&p. The latter prices are subject to confirmation from the author from whom this publication is currently only available. 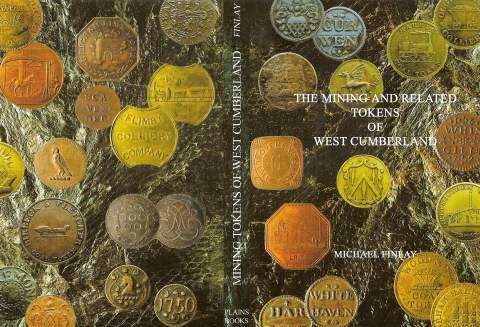 Since the publication of the above catalogue of Mining Badges the author has produced a soft bound supplement containing details of a further 80 mining related badges. The availability and price of this supplement can be obtained by directly contacting Matty Kitchen. Contact: Malcolm Kitchen. Telephone 01977 510049 or 07979 517516. Alternatively e-mail enquires can be sent via the "Contact Us" section of the NMMA's Web Site. "The Forgotten Conscript - A History Of The Bevin Boy"
A brilliant history of "Bevin Boys" contained in an A5 formatted hard back book, well illustrated and containing 156 pages (ISBN: 1 85821 280 4). From 1943 until the end of the war, almost 22,000 conscripts were balloted, with a further 23,000 optants and volunteers, to work in the coal mines instead of the armed forces. For many preparing to join the services, including Warwick Taylor, the arrival of the buff envelope came as a shock and a disappointment. It was not how they had hoped to serve their country. But their role - still largely unknown - was essential to the Allied war effort and here, in The Forgotten Conscript, Taylor has set down a permanent record in an attempt to gain the recognition the Bevin Boys deserve. Taylor, now the Vice President and official archivist of the Bevin Boys' Association, has managed, after many years of research, to prepare an authoritative account of the life and times of the Bevin Boys. Records of the Collieries, Training Centres, Miners' Hostels, and Government and Parliamentary debates have been skilfully pieced together, setting down a historical record of the work and achievements of this forgotten army. Much of the official information on the Bevin Boys was destroyed in the 1950s but Warwick Taylor has obtained material from archives around the country and has packed his book with data, facts, figures, charts and photographs. Yet it is not a technical publication but an accessible and enjoyable study. Former Bevin Boys are now meeting again on an annual basis, reminiscing on their days in the pits and attempting to bring their efforts into the nation’s consciousness. It is hoped that Warwick Taylor’s The Forgotten Conscript will help this struggle for recognition and serve as the definitive account of those wartime days for future generations. While stocks last "The Forgotten Conscript" can be obtained from Pentland Press Ltd., Hutton Close, Bishop Auckland Co. Durham. DL14 6XG. In addition copies can also be obtained from the author or Mike Moore. Contact: Warwick H. Taylor. 28 Sir Christopher Court, Southampton, Hampshire, SO45 6JR. Bill Bennett was born in Thurnscoe, South Yorkshire, barely a stones throw away from Hickleton Main Colliery Pit Yard. Generations of his family had worked in the local pits and he too was destined to become a Coal Miner. From an early age Bill's main interest was drawing and sketching. This took up most of his leisure time apart from bringing up a family whilst working at a local colliery. 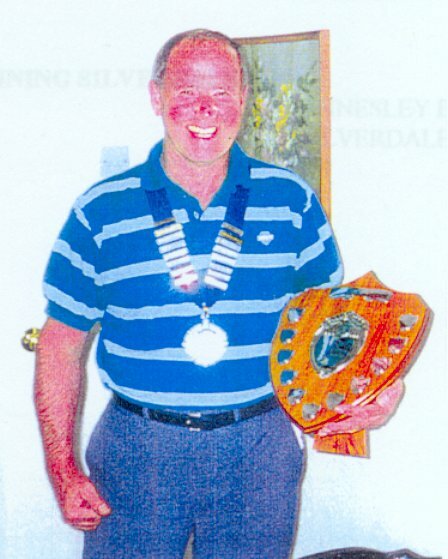 Bill worked at Barnburgh Colliery, South Yorkshire until it's closure in 1989, and then continued to work in the industry until 1998, a total of 33 years in all. He realised that outside the coal mining areas few people had much idea what the inside of a Colliery looked like, and so decided to illustrate the various tasks and situations that the miner found himself on a daily basis. 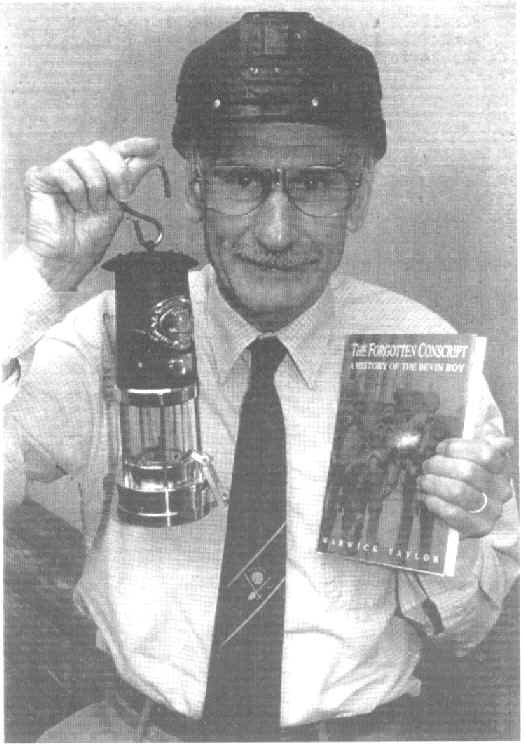 Because of his experiences and knowledge of the workings of the Colliery Bill has been able to capture accurately on paper the day to day operations of the Colliery. Most of Bill's pictures depict scenes and images from the early days of his mining career in the 1960's. A summary of print titles together with their respective sizes and costs are given below. All prints are limited additions and are available only while stocks last. Bill will be happy to provide a fully illustrated list of his work to any interested parties. He can be contact via the details listed below. Contact: Bill Bennett. 5 Edinburgh Avenue, Bolton-on-Dearne, Rotherham, S63 8DS. Telephone: 01709 896200 or Mobile 07881 472975. A history of the South Yorkshire Coalfield contained in 192 pages, well illustrated with plans and photographs. This publication will be available in paper back format (ISBN: 1 871647 84 3). Coal, the lifeblood of the industrial revolution, brought to South Yorkshire one of the largest industrial complexes in Europe, which in turn generated industrial and social development on an unprecedented scale. Warwick Taylor has assembled a mass of new information concerning both the mining and social history of the South Yorkshire coalfields and the lives of those who lived and worked there. South Yorkshire Pits is a new and historically comprehensive record of the rise and fall of a mighty industry, to which the region made a major contribution. Whatever your interest in the history of mining in South Yorkshire. be you an ex-miner or the family of an ex-miner, an industrial historian, or simply interested in South Yorkshire's history you will find this book a fascinating appreciation of a great industry and the people who lived and worked in it. "The Edward Medal - Citations for Bravery in the Mining Industry"
In this privately produced 147 page publication Matty Kitchen presents an introduction to the history behind the Edward Medal and other mining awards for gallantry plus chronological listings and details of the medal's award within the British mining industry between 1908 and 1968. This publication contains various illustrations not only of the Edward Medal itself but also several of the award's recipients plus the rescue teams and mining disasters in which they were associated. The bulk of this publication comprises details of individual award citations to various recipients of the Edward Medal. All citations, which are chronologically arranged, are reproduced from original entries in the London Gazette. A 19 page alphabetically listed gazetteer/index is contained within the back of the book for quick reference of those who were awarded the medal during the above period. Each award citation not only lists the names and details of the recipients of each medal but also gives details of the courageous underground rescues and pit disasters they were associated with. Hard back editions are available at £16.00 plus p&p a soft back edition is also in preparation (price yet to be advised). The latter details are subject to confirmation from the author from whom this publication is currently only available. The South Yorkshire Coalfield : A History and Development. This comprehensive 256 page paperback book (ISBN 0 7524 1747 9) covers the history and development of the South Yorkshire Coalfield, and is well illustrated with 16 supporting maps and plans, and 60 photographs. It is well set out in an easy to read format and is complete with bibliography and index. The book traces the history and development of the coalfield and the 116 collieries that were working in the coalfield at Nationalisation, in 1947. The book begins with an overview of the coalfield, and continues with chapters on the geology and coal seams, colliery companies, the coal industry pre-Nationalisation and post-Nationalisation. The book goes on to address the development phases of the coalfield, and chapters cover the periods; prior to 1850, 1851-1875, 1876-1900, 1901-1910, 1911-1920, 1921-1939, and finishes with developments post-Nationalisation. To date no previous book has covered the South Yorkshire Coalfield in such depth and detail with much new information is included in the text. This book can be purchased from Mike Moore for £19.50 including post and packing.